1st item: Finely carved oval ivory pendant in the form of a peony with pierced floral designs surrounding it, 2-1/2" x 2". 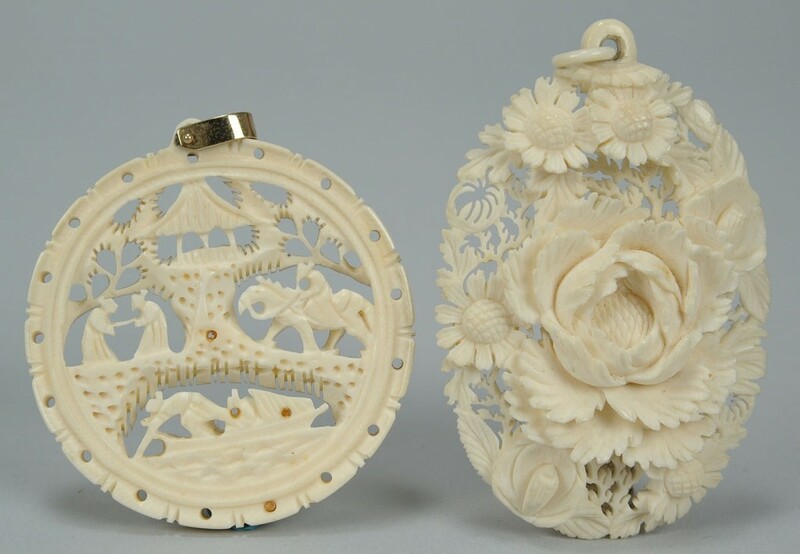 2nd item: Round ivory pendant with figural and pagoda scene, 2" diameter. 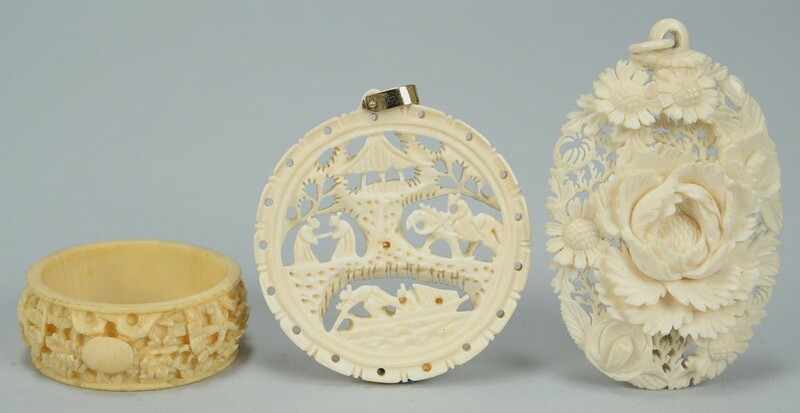 3rd item: Carved ivory napkin ring with oval reserve, 1-1/2" diameter. 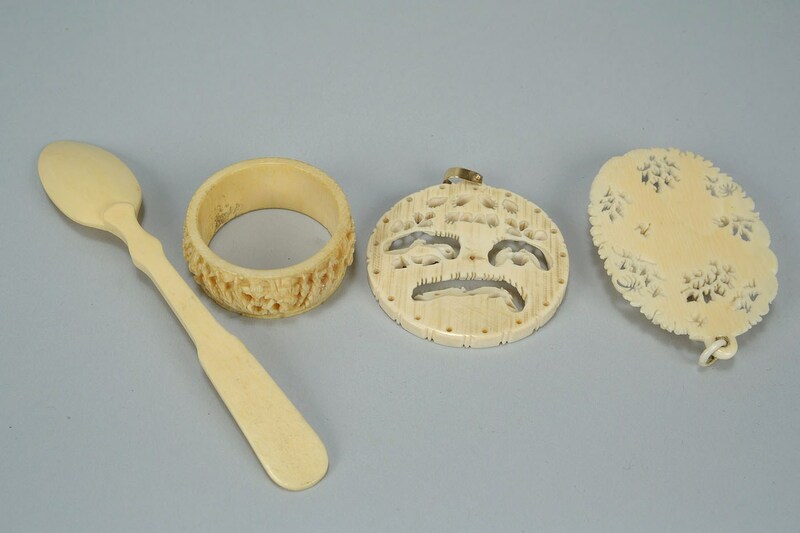 4th item: Carved ivory spoon, 5"L. All Chinese, late 19th to early 20th century. Condition: Overall excellent condition.